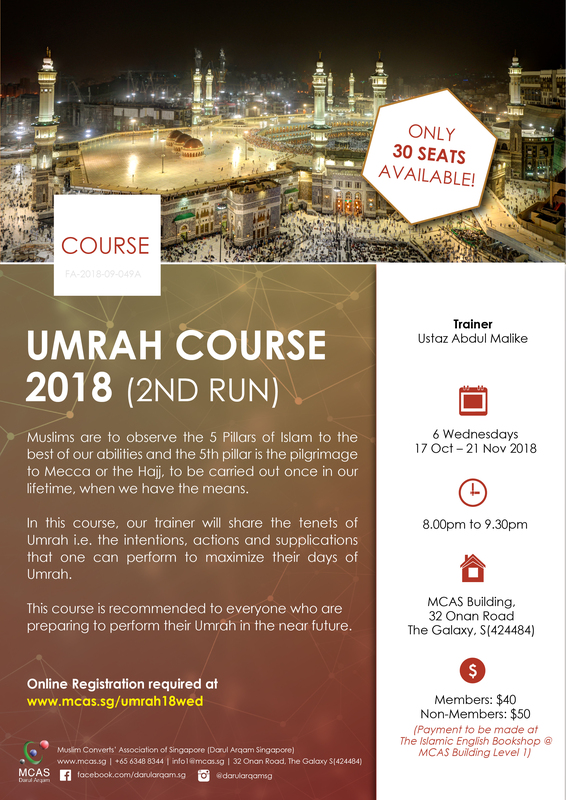 Umrah Course – 2nd Run In October! Muslims are to observe the 5 Pillars of Islam to the best of our abilities and the 5th pillar is the pilgrimage to Mecca or the Hajj, to be carried out once in our lifetime, when we have the means. In this course, our trainer will share the tenets of Umrah i.e. the intentions, actions and supplications that one can perform to maximize their days of Umrah. This preparatory course is recommended for those who are going Umrah this year. 6 Wednesdays, 17 October – 21 November 2018, 8pm to 9.30pm. Payment are to be made at Darul Arqam Bookshop. Trainer is a student of the late Moulavi Babu Sahib. He attained his Certificate in Islamic Studies in 1995. 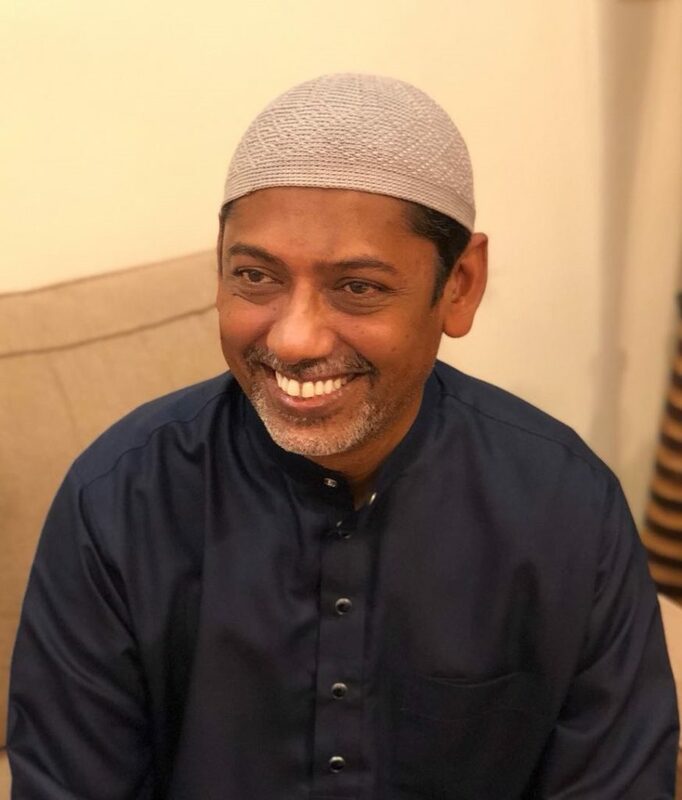 He is currently a volunteer and a part time religious teacher with Darul Arqam and SKML (Singapore Kadayanallur Muslim League). He is the VP of SKML and Principal of Madrasah Darul Quran (SKML). The speaker has experiences in leading groups to Hajj and Umrah and has conducted various enhancement programs such as Quran and Tajweed classes, Haj and Umrah classes and also delivered Eid Sermons.